If you are a marketer, it is evident that you are already accustomed to the term ‘marketing automation‘. 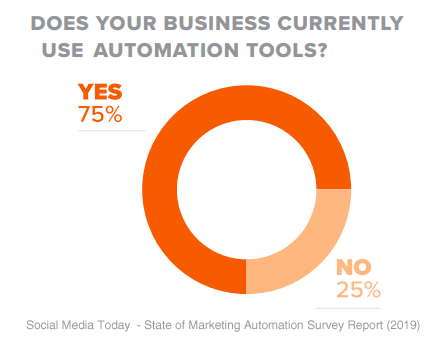 According to a survey by Social Media Today, almost 75% of B2B companies are using a marketing automation tool. The number is not surprising, given the broader implementation of AI and machine learning to trigger predictive marketing. While 75% of respondents in the same survey said marketing automation is inevitable at a level in their business, there is still a handful who are not sure what to do or where to begin. Also, it is a surprising revelation that out of the 75%, there are many who still have some of the basic questions unanswered. So to put rest to all confusions and queries, here are 21 marketing automation questions to ask before you implement a marketing automation tool. Incase, you have one implemented but is still blank, time to pause and go over from the beginning. Marketing automation encompasses everything you can think of while marketing your product- starting with email campaigns to drip emails, conversing with your users, social sharing, content marketing and so much more-but all automated! For those who think, automation means spamming your users, it’s time we let go of such myths. Marketing Automation: Marketing automation refers to software platforms and technologies designed for marketing departments and organizations to more effectively market on multiple channels online (such as email, social media, websites, etc.) and automate repetitive tasks. Another touch point to understand is that Marketing automation is NOT a software. When someone says that they are an expert in marketing automation, it is more like rephrasing the statement that they are expert with any particular marketing automation tool, not necessarily the concept. Once you get the concept right, any software can be a ball-game for you. Now that we have discussed what is marketing automation and how to go about it, let’s understand the basic queries you must have before you think of implementing marketing automation for your business. Here is a list of 21 important marketing automation questions to go through. 1. When should I start implementing marketing automation platform? Well, this is one the most crucial marketing automation questions related to implementation, as your company grows, it becomes difficult to continue one to one interaction with lead or prospects and keeping a record of the conversations. Even if you hire a bunch of marketing and sales professionals, it will ultimately be more like the drain of wealth. That time when manually managing your brand relationship seems to be at stake, marketing automation will save the day! 2. What are the basic features I should look out for? Contrary to popular understanding, marketing automation is more than just email marketing. So, before you decide on a software application, it is important that you understand what features you will need. On a general note, features like drip email campaigns, autoresponders, omnichannel marketing messages, sales enablement, social media marketing, lead tracking and scoring, CRM integration, and content marketing are vital. Also, make sure the marketing automation tool you choose is GDPR compliant. GDPR and marketing automation goes hand-in-hand now. 3. What do I plan first after purchasing marketing automation app? After purchasing comes proper setup and configuration of the marketing automation platform. It’s wise to connect with the support team as soon as possible and configure your choice of marketing automation application with your own domain name online. Generally, all of this software has easy configuration processes, with few DNS updates, but you never know when you will need technical help! 4. Does marketing automation have social plugins integration option? It should. If your marketing automation tool does not have social media integrations and robust social media marketing features, then you must re-think. In a time when everything and everyone is going social, you really cannot compromise on your brand’s social presence. Your customers need avenues to stay connected with your brand even when they are not on your website or app. And what better place than social media? Opt for a tool like Aritic PinPoint where you can streamline your social media updates across multiple social platforms, track and monitor social activities, trigger automated replies, and run customized social ads. 5. What other software apps can I integrate? Multi-tasking is not just a nice word to use in lectures. You will need a host of apps to use when you sit to automate your marketing plans. Many apps may not come integrated by default. Hence it is important to see if your choice of marketing automation application has the option of integrating all the apps that you might need as you proceed or have been using already. Most of the time, you need very close integration with CMS, Social Media, external applications. 6. What kind of support will I get from Marketing Automation vendor? You should check what all support options are available and in what time zones. This may include, email, phone call or real-time chat support. Most of the time, you can get email support, but a real-time chat and phone call support are added benefit. 7. Can both sales and marketing team use it? Sales and marketing automation go hand-in-hand. Hence, the application will be required by both your teams, the sales, and marketing. Dig in deep, do a lot of research and see if the application you purchased will be useful for both your teams. You should check how many users can add and how emails can be sent out from the tool. Read how you can align sales and marketing before implementing a marketing automation tool. 8. How is a marketing automation tool different from a CRM? CRM and marketing automation tool are not same but complementary to each other. It is vital that you understand the fine line difference between these two tools. While CRM has been mainly designed for sales purpose, an automation tool is designed for marketers mainly. You can read here how a CRM is different from marketing automation tool. 9. Can I customize the marketing Automation suite as per my needs? Customization becomes a vital necessity, in the long run, that’s why you should ask these marketing automation questions. You might want to change some settings or add/delete some sections of the application you are using as per your immediate need. Make sure the software you purchase gives you the liberty to tweak it as required by your business, else you will not be able to reap the benefits of marketing automation properly. 10. Does the Marketing Automation suite provide API support? Be completely sure that the automation suite provides complete API support. Without technical backing, it might be an issue in the long run when your marketing activity will require more speed, new apps and more integration in the coming future. 11. Can I automate my social media outreach? This is a useful question from the list of marketing automation questions, the importance of social presence needs no explanation. However, when you are investing in automating your marketing strategies, it is better to see if your social presence can be enhanced. Can you reach out to more better and targeted user base through your social media profiles using your automation tool? if yes, then smash it! 12. Will I get analytic integration with marketing automation suite? Marketing strategy has its backbone in analytics. Without the numbers and metrics of your competitors, how can you possibly etch a full-proof marketing plan? Make sure your automation application has analytic integration in it. 13. Can I get weekly or monthly data-based reports? Regular updates are essential to understanding the fast-paced user demand and how your competitors are handling it. Your status in the market and how far or near, fast or slow you are in the race. Make sure you have the option to avail weekly or monthly detailed reports. 14. Is marketing automation only for email? No. If an application claims to be a marketing automation application, yet has just email marketing listed down in its feature list, then, you should check if they have plans to integrate other forms of communication like SMS or Mobile app notification in near future. Marketing automation funnel is much more than just email marketing, which is otherwise a component of marketing automation. 15. Can I automate the complete lead nurturing? Analytics and reports will go in vain if lead nurturing is not done effectively. Lead nurturing branches out into many activities that are not possible manually when you have many users to cater to. Your marketing automation application must have all the facilities, starting from acquiring to retaining your users. 16. Can I track registered lead behavior on our website and landing page? This is quite an important question from the list of marketing automation questions, see if your automation application gives you the option of tracking your leads’ behavior on your web page and website. If this option is not present, probably you should keep looking for other alternatives! As this is a must-have feature of a Marketing Automation suite. 17. Is marketing automation app multiple-device friendly? Your users are not on one device ONLY. They use smartphones, laptops, tablets and every other smart device to stay connected. Hence, if your automation app isn’t compatible with any and every device (at least with those that majority of people use), then it will be a waste. 18. Can more than one person work on such a tool? As in, can a whole team (between 5-100) use it? Another important question from the list of marketing automation questions, team collaboration is mandatory when you are trying to market your product. If your marketing automation tool does not allow more than one user to collaborate, then marketing will be a costly affair and also time taking. 19. Should I do research on the company profile whose automation tool I am to purchase? Before investing in a marketing automation tool, make sure you have an in-depth knowledge of the company who is making the product. It’s not because your decision might backfire, but simply because by understanding the company’s background and history, you can have a fair understanding of how the tool might shape up in the future. Your knowledge about the company will be helpful in knowing which industry exactly they are targeting, who are their immediate competitors and how long can the product survive in the market with complete support. 20. Will my marketing automation tool have more promising features in the future? When you decide upon an automation tool, apart from all the above queries, you should also check whether it will have more promising features in the future. Email marketing is just one part of marketing automation. You should check what else your tool would be able to offer in the future. If that aligns with your business effectively, then you have made the right choice. 21. Should I choose an automation tool based on price only? This is the last question from the list of marketing automation questions you should ask, as budgeting is important but make sure you do not limit yourself. That obviously doesn’t mean you will go ahead and splurge, but taking a decision solely looking at the price chart may incur more cost in the future. Will your marketing automation campaigns give you your desired results? Will your customers/leads react to your automation campaigns? How much are you willing to invest in your marketing? 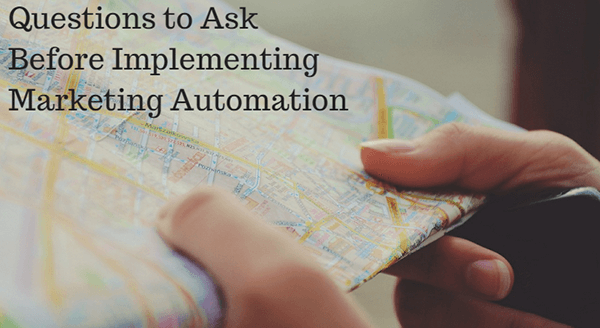 If you have answers to all these marketing automation questions, you are quite ready to start implementing marketing automation strategies now. The core functionality of your marketing automation tool is (and should be) focused on lead behavior tracking, whether on website or in-app. Unless you are tracking and monitoring your lead behaviour, you can never trace their browsing pathway or understand what they are looking for. And to get your marketing campaigns to show results, you need to give your leads exactly the right information at the right time. A marketing automation software like Aritic PinPoint helps in creating a brand image and also position your business socially. 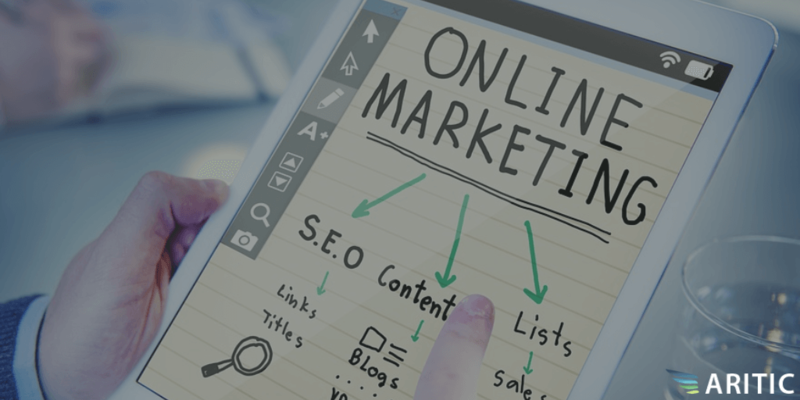 It enables you to opt for a multichannel marketing approach, wherein you can engage your prospective users over email, mobile, website, apps, social media, via push notifications, and landing pages. Advanced lead nurturing and lead management features help in dynamic list segmentation. List segmentation is mostly dynamic and is based on demographics like location, country, age, gender, etc., stage in which the prospect is, behavior-based, and event-based. You can create intuitive landing pages, cross-channel drip marketing campaigns, SMS campaigns, push campaigns, re-engagement email campaigns, assign lead scores, and establish a one-on-one relationship with your customers. Your marketing automation tool will aid you in pushing your leads through the marketing-sales funnel and also after conversion has happened. Lead information capturing has evolved to become smart and relevant. Using embedded forms in landing pages or emails can help you speed up the process. Also, using progressive profiling to capture lead information without annoying them is always great. 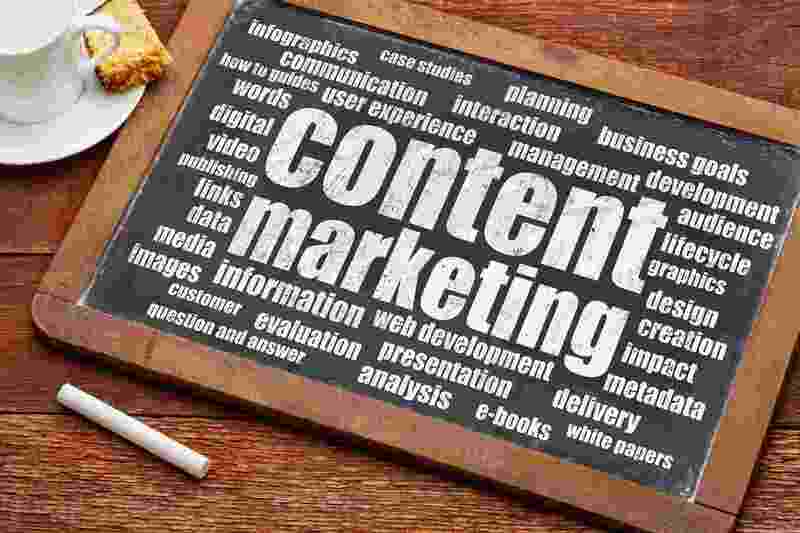 If your marketing automation enables you to use gated content, then you can ensure more lead information in a shorter span of time. 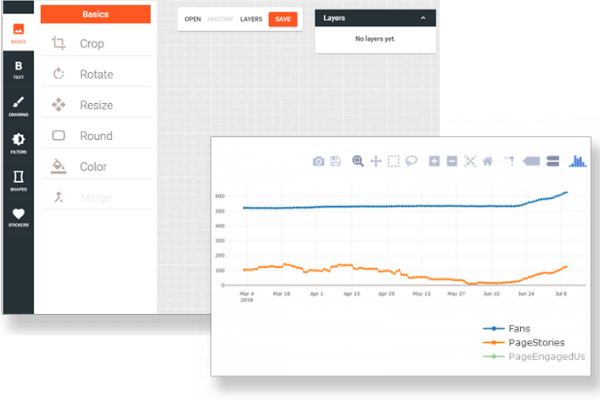 Based on lead scoring and A/B testing features, you can launch relevant drip campaigns that will work. It offers integration with a wide range of websites and mobile, CRM, CMS, social media plugins and other plugins. It is adept at bridging the gap between your marketing and sales team and improving your marketing team productivity. Along with all these, you get detailed reports and analytics to measure your campaign performance against actual data. Marketing automation is steadily moving towards incorporating high-end predictive and recommendation-based marketing with the help of artificial intelligence. Are you ready? Do you have any other question that I’ve missed out? Tell me and I will make sure to answer it for you. Hey Pritha, excellent informative article about marketing automation. Love to read all …thanks I’m going to share this. As a newbie in the market, I found it very interesting to read about marketing automation. A very informative blog. The questions helped me in covering all of the bases before investing in new marketing tool. Well written Pritha, it will help to understand every small aspect which every marketer must consider. Hey, I am just starting a business of my own. Your article was quite explanatory and gave me a direction I didn’t know existed. Thanks a ton. Finally I have answeres to some of my persistent questions. Thanks! With so many marketing automation services available in the market, it’s advisable to create lists of goal needs and required tools so that to determine the product which fit the needs. We must implement a Marketing Automation suite when we are sure that we have enough inflow of leads who are generated by inbound marketing strategies. Thanks a ton for sharing such worthwhile questions with us! I am going to bookmark this blog and make sure I ask all these questions mentioned here before implementing marketing automation software. Picking the right platform for marketing automation is really a challenge for even the savviest organizations. These questions really help in covering all of the bases before investing in new marketing tool. Thanks a ton for sharing tangible and worthwhile fundamentals with us! I can’t wait to dig deep into these basic queries before implementing marketing automation for my business. Thanks for sharing! As a newbie marketer I can totally relate to the questions that you have mentioned in this post. It answered most of the questions that were running in my mind. Marketing automation is beneficial for our business but at the same time, there are a few factors that have to be taken care of. This blog post has well explained all the aspects of marketing automation that a person must think upon before going into the procedure.